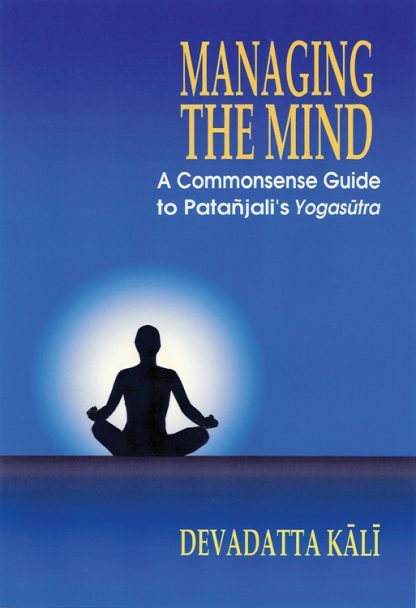 The Yogasutra of Patanjali is described as an owner�s manual for the human mind and how the mind can be used in the quest for Truth and The Managing Mind presents this most important text on Yoga and meditation in clear and straightforward English. Devadatta Kali�s commentary endeavors to draw out the meaning of Patanjali�s text in a coherent and modern form that will serve the real life needs of the spiritual practitioner. He has also includes the original Sanskrit text for those who seek a more in-depth understanding of the hidden dimension of the Yogasutra, giving a word-by-word analysis with multiple possibilities for the meaning of the text. In addition, Devadatta Kali provides his own original interpretations of the meaning of several of the sutras. He sheds new light on their classical interpretation, which have often missed the point by overlooking the language of metaphor.